Hylete is a company that you may not be familiar with. Primarily marketed as a manufacturer of apparel for CrossFit athletes they offer a full line of products specifically designed for cross-training. These products include: training tees, shorts, compression gear, hoodies and socks. A lot of jiu-jiteiros use CF for their conditioning so why not take a look at some of the cool toys that they have? Hylete’s Creed: train to push yourself both mentally and physically; compete to improve yourself, as well as those around you; and live to be healthy in mind, body and soul. The vision: continuously create innovative performance cross-training apparel that captures the spirit of the cross-training hybrid athlete. The sizing runs pretty much the same as jeans and for me the Large was just a little too big (33in waist). If you’re in the middle of the sizing you’ll probably want to go down, instead of up. They’re available in 9 different sizes, with the Medium and Large sizes available in short, medium or long length. These sizing options are great for those of different builds and/or different preferences on your shorts. The material of the shorts is 90%/10% blend of nylon and spandex respectively and actively wicks moisture away from the wearer. This blend is also quite stretchy with about a 2 inch stretch at the waist. The best comparison that I can give is that it’s very similar to a heavy compression shirt. The seams of the shorts were solid and there were no loose threads or apparent defects. It took a little getting used to with the way they’ve designed the drawstring housing but once it was tied I never noticed it again. There is also a single interior pocket designed for a smart phone. You could put a mouth guard in there as well. So far I’ve worn these shorts around the house, to bed, grappling and for conditioning. For casual wear the shorts are very comfortable, a lot like a pair of basketball training shorts, and the graphics are subtle enough that your significant other won’t give you a hard time about it. The interior pocket is designed for a smart phone and worked very well for that. While wearing the shorts I knew the phone was there from the weight but it didn’t bang around or bother me like it would in a looser pocket. For active wear they performed very well. I like the stretchiness of the fabric. Depending on what you’re doing and what you’re putting in it the interior pocket may or may not be useful. The shorts are very lightweight and once I started to roll I didn’t really notice them again. They dried quickly after training. I also like the fact that the shorts have no velcro. I’ve had too many rasghguards and other shorts ruined in the wash when the velcro closures come open and stick to places it’s not meant to be. The only concern I had is the potential for abrading and piling of the fabric from gnurling on bars while deadlifting or other activities where you have a rough surface against your legs. Hylete has numerous special programs that set it apart from most gear manufacturers. They’re able to help with non-profit fundraisers, personal trainer sponsorships and competitive athlete sponsorships. These programs give athletes, gyms and organizations some interesting options for their businesses, clients and students. Hylete also offers a flat shipping of $3.99 so that you spend your money on your gear and not on shipping. The last thing I’ll mention is their 2 year warranty. Gear isn’t cheap and I’m sure that everyone has wished that they had an extended warranty at some point. Hopefully you’ll never have to use it but it sure is nice that it’s there. Hylete’s shorts are comfortable, look good and function well. You can wear them grappling, lounging, CF-ing or even to that Tough Mudder that you’ve had your eye on. For the grappler they’re not your typical grappling shorts but that’s OK. You can walk around in public in these and you won’t have random guys coming up to you asking you if you train UFC 🙂 The shorts are also available in 4 different color schemes. 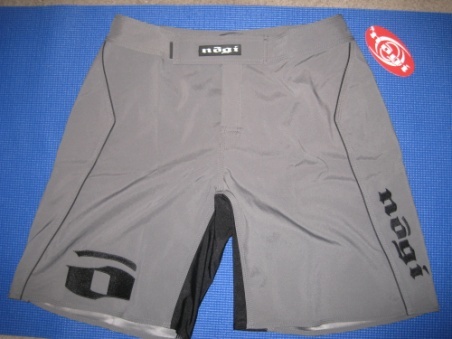 The shorts are $60 which is consistent with many Crossfit specific brands and higher end grappling shorts such as Hayabusa and Venum. Hylete was kind enough to provide us with a special 25% off coupon code just for our readers: LEGENDS25 Using this code and the flat rate shipping you can get a pair of shorts delivered to your house for less than $50.